I couldn't resist pairing the leather skirt with the boucle jacket and the velvet booties! How are the first days of 2012 treating y'all?! It's gonna be a good year...I can feel it! Velvet booties are just way too special. It can only look up from here for me! This is such a fabulous combo - love all the entire outfit! Hola preciosa, me encanta esa falda!!! I absolutely love those heels! They are to die for! Such a fun mix of textures - and those booties are straight up amazing! Wow, wow, wow those shoes!!! Just absolutely stunning!! Awesome that they're velvet as well!! Hope you had a great New Year's!! The boots, the jacket, the shoes... I love it!! Gorgeous! Happy New Year darling! You definitely have me with the skirt and those heels again, va va voom! MEEEE-OW!!!! SO jealous that it's so warm, It's only 12 here right now, YES 12!!!! I'm loving all this texture, and in it's best form. Tweed, leather and velvet!? Insane. I have vowed to make it a fashionable year...it's gonna be fun. So pretty! Love the jacket!! Love the booties and the jacket too! I'm following your blog now, i really love your style!! okay woman. this is off the chain. those booties alone made me scream out loud. holly crap! loving this texture heaven! fabulous skirt. hope you had a wonderful new year!! Those boots are do fierce! It is all about texture and I can feel a good year coming on too! I am also seriously in texture heaven. The booties and skirt are killer amazing! Can I please just steal everything in your wardrobe (and look as fab as you do in everything)? Dying over those booties, Nicole! I also love how that skirt is wrapped... nice change from the typical leather skirts we see! Texture perfection! Adore the velvet booties! Drooling over your velvet booties. Wow! Killer look! You are perfection! 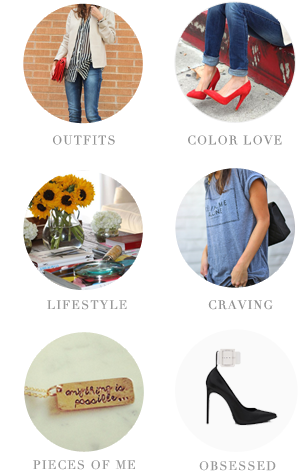 I love every look on your blog! love your sense of style.. and your blog.. i am a true devoted..follower.. This is a great post. I really enjoyed it! The shoes are stellar! I love that leather skirt and this perfect mix of slouchy and chic! i hope you had a happy new year! love your blog, as always! That jacket is SO so awesome! lovely outfit! your skirt is incredible! i wish we could join shoe closets your purple giuseppe zanotti booties are OUT OF THIS WORLD! good lord woman your legs are smokin' hot to boot~!